The shares of SanDisk Corporation (NASDAQ:SNDK) fell over 13 percent closing at $83.57 after a poor revenue forecast from the company. The primary reason involves poor sales figures for its flash memory storage products and other retail supplies. The memory chipmaker said yesterday that its revenue figures are likely to end upon the lower end of its previous forecasts. 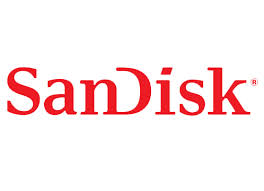 According to SanDisk Corporation (NASDAQ:SNDK), the quarter ended on December 28 amounted for net sales of $1.73 billion unlike its previous expectations of $1.80 billion to $1.85 billion. The market experts projected net revenues of $1.83 billion for the quarter. At the same time, the company is expecting a lower gross margin of 45 percent for the quarter unlike its earlier estimates of 47 to 49 percent. The storage device manufacturer said that the demand for its customers, both retail and phone makers, has declined and resulted in lower sales. Some might call it a wrong move from the company to release its report just before the other major tech companies are readying their quarterly reports. According to some experts, the announcement from Samsung Electronics Co Ltd (KRX:005930) to strengthen its efforts in the chip industry after a drop in smartphone sale is another reason for weaker sales of SanDisk Corporation (NASDAQ:SNDK). SanDisk already announced in July about production cuts to avoid price wars in the semiconductor industry. SanDisk would announce its quarterly results on January 21 and this decline was the biggest for the company since February 2009. The significant drop in the share prices of the company has affected its peers including Micron Technology, Inc. (NASDAQ:MU), which fell over 5 percent in the day’s trading. Apple Inc. (NASDAQ:AAPL) is one of the biggest customers of SanDisk Corporation (NASDAQ:SNDK), as the company uses storage chips from SanDisk for its iPhone devices.